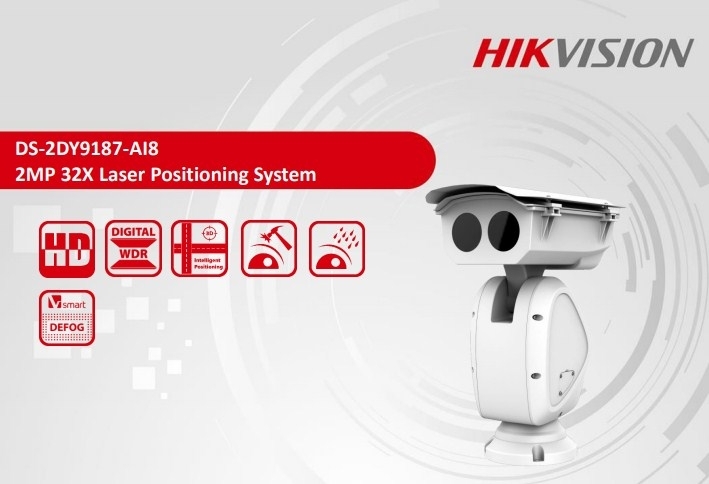 Hikvision Laser Positioning System DS-2DY9187-AI8 is able to capture high quality images in dim light environment with its laser IR light, which can reach up to 800m IR distance. Embedded with 1/2.8’’ progressive scan CMOS chip makes DWDR and 2MP real-time resolution possible. 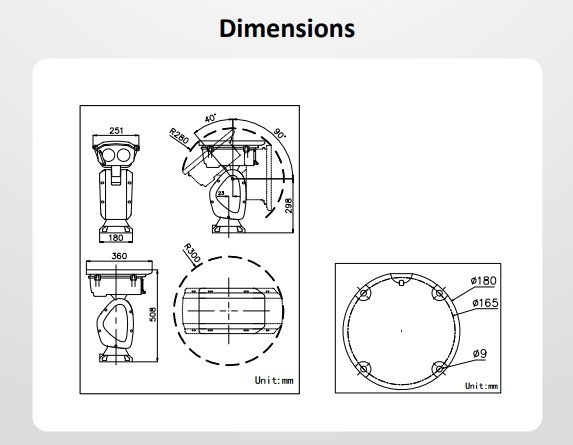 With the 32X optical zoom Day/Night lens, the positioning system offers more details over expansive areas. Hikvision Laser Positioning System DS-2DY9187-AI8 also features Smart Defog and EIS (Electronic Image Stabilization), which can further supported to improve image quality in challenging conditions.